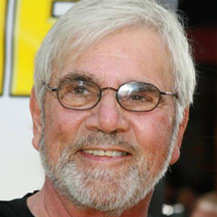 Alessandro Federico Petricone, Jr. known professionally as Alex Rocco, was an American actor. Often cast as a villain, he is best known for his portrayal of Moe Greene in The Godfather. He did a significant amount of voiceover work later in his career, and was known for his gravelly voice.